Well-maintained 3 bed 2 bath ranch w/large fenced backyard perfect for first-time home buyer!Wood flooring throughout most of common area!Lrg living rm w/fan, vaulted ceiling & beautiful wood-burning fireplace!Kitchen & brkfst area w/ceramic tile, countertops 3 yrs new, dishwasher, built-in micro, range/oven & frig may stay w/acceptable offer!Beautiful dining rm w/trim offers separate eating area!Spacious Owners' suite w/his & her closets,fan, tray ceiling, garden tub, step-in shower, water closet, large newer sink counter & new light fixture!Both guest bedrooms w/ceiling fans & spacious hall bath w/tile floor, new fixtures & large vanity!Lg parking pad at side for boat or trailer has dble gate access to back yard! 2" blinds, lg laundry area w/shelving & washer/dryer may stay w/acceptable offer! 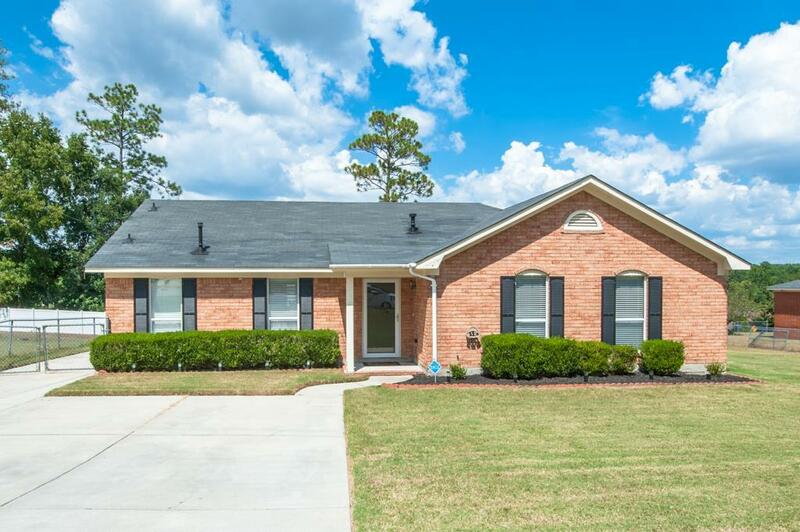 Roof 6 yrs new, HVAC less than 5 yrs, water heater 2 yrs new, nice grill area & storm doors front & back have glass shatter warranty!Easy access to Ft Gordon, shopping, restaurants & more!